Karen and I have a new game on Kickstarter. It’s Clades, the Evolutionary Card Game. Clades is an animal-matching game based on evolutionary relationships, for kids and adults. Please take a look at the Kickstarter page. 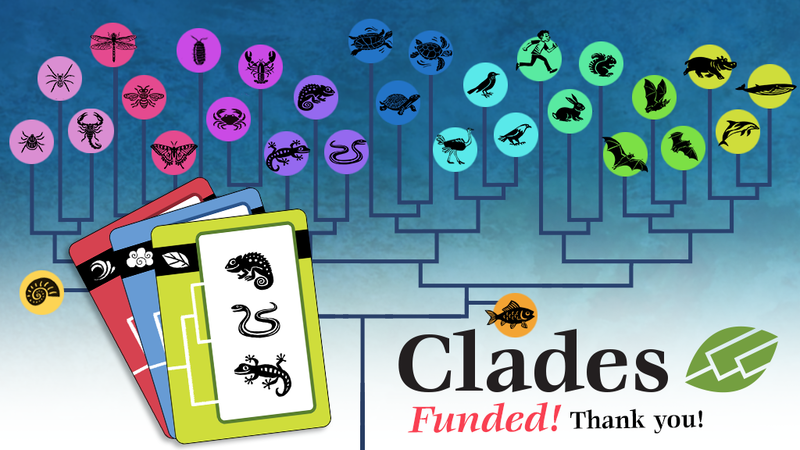 We funded on the second day, and now we’re trying to raise enough money to create a second version of the game, Clades: Prehistoric, with all prehistoric animals. Thanks for your interest in sharing the wonderful story of evolution with children (and grownups).